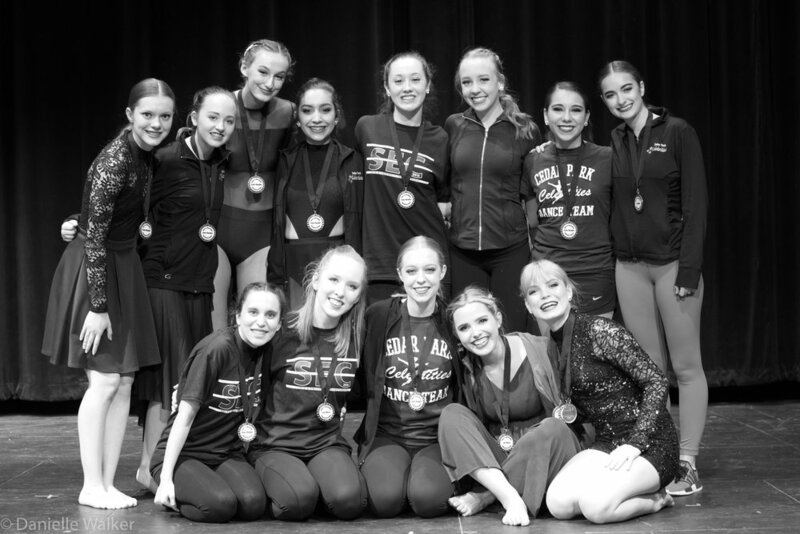 The Celebrities Dance/Drill Team is composed of extremely dedicated young ladies who have a passion for dance and a commitment to the art of team precision dance/drill. We are extremely proud to be a part of the Cedar Park High School Timberwolves and the entire Cedar Park, Texas Community!! Throughout the year, the Celebrities perform at football games, basketball games, pep rallies, parades, competitions, and special events. We also perform in and host an annual Spring Dance Showcase which features groups from Leander ISD and private dance companies from the Cedar Park area.